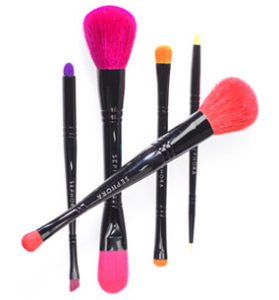 We talked with TaikiUSA President/CEO Jim Perry about the growing problem makeup brush makers face with animal hair, as well as new antimicrobial technologies and the competitive, global business of makeup brushes. While there are hundreds of companies that make cosmetic brushes around the world, there are only about five major players that supply quality brushes to major cosmetics brands, such as Shiseido (includes Bare Escentuals), Estee Lauder Group (includes M-A-C), and L’Oreal (includes Shu Uemura). Founded in 1930, Taiki Group, headquartered in Osaka, Japan, is one of those major players. Brush-making is a highly competitive business, with tens of millions of makeup brushes sold every year. The market is also split into two parts, a high-end, where manufacturers pitch their services on quality and innovation, and a low-end, where price is key. This price-driven part of the market is flooded with brush makers who churn out brushes as fast as possible, essentially making cosmetic brushes a commodity and depressing prices. 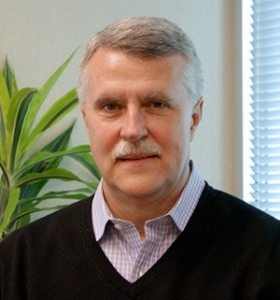 “As the brush business has become increasingly competitive, there’s more pressure to innovate and come up with new ideas, make the brush more interesting,” said Jim Perry, TaikiUSA President and CEO. Because Taiki sells a full range of skin care and make-up tools and accessories, it has a broader perspective on the beauty industry than brushes alone. 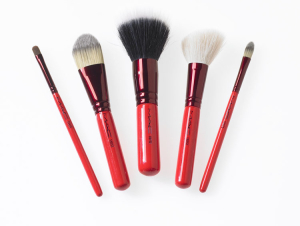 So, Taiki – whose tagline is “Beauty is in the Science” – distinguishes itself in the brush market by being “application experts,” Perry said. That means Taiki is more focused on how the brush substantively works versus other competitors who may be more focused on, say, the appearance of the brush, with handle and fiber colors, treatments and decorations. 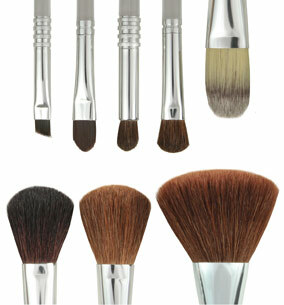 In the United States, makeup brushes constitute about one-third of the company’s sales, Perry said. Globally, however, Taiki sells more skin care products, such as facial masks. That’s because, culturally, the US market tends to be more makeup oriented. Other markets, especially Japan, are more focused on skincare products. The tradition and adoption of taking care of skin starts at a very young age there. Still, brushes are a major component of Taiki’s identity. 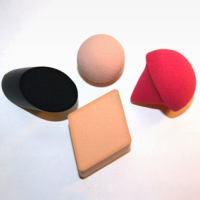 The company’s founding product was actually sea sponges for makeup industry customers, Shiseido specifically. That eventually led to the creation of the synthetic sponge that is now used nearly universally around the world for makeup application. Manufacturers can precisely control the pore size of the sponge to match the end use. Taiki has a large global network of manufacturing and sales facilities. While many of its brushes are made at its joint venture plant in Tianjin, China, Taiki has a strong relationship with the two largest brush makers in Japan, Chikuhodo and Hakuhodo, and subcontracts some work to them for high-end brushes. Perry said there are some key quality differences between high-end and low-end brushes. Not just in materials, but also in how they are made. At the upper end of the market, the hair of the brushes are hand tied together by skilled employees, and inserted into the metal ferrule, which is then crimped to hold the hair in place. Very little adhesive is used in that process. At the lower end, the brushes are still hand tied but there is more automation in the crimping and adding of adhesive to secure the parts of the brush. At both ends of the market, the handle is typically glued to the ferrule although there may be additional crimping of the ferrule to the handle at the higher end. As one might expect, the different ends of the market also have a lot of variation in material used. Take the handle. A professional handle is usually wood or metal, and designed for lifetime use. At the low end, Perry said, “it’s softer woods, such as pines…” You can also find more brushes with plastic injection-molded handles, which allows for trendy new shapes and designs. Globally, Perry estimated that about 85-90% of makeup brush ferrules are aluminum, while the rest are made of brass. Both materials are non-ferrous which means they do not contain iron and cannot rust, making them ideal choices for brushes that may be exposed to water or products containing water. “In our factory in China, we are almost completely vertical,” Perry said. “We make our own ferrules and handles. We dress the hair ourselves. Any hair treatments, we do ourselves.” Taiki usually subcontracts out work with brass ferrules, which he called high specialized. There’s been interesting innovation in ferrules, Perry said, with ferrules being anodized in different colors and given different coatings and shapes. Then there’s the hair, where there is an incredible amount of variation and innovation. DuPont has been a major player in developing synthetic fibers for the makeup brush market as manufacturers try to move away from natural hair brushes where they can. “Brand customers still demand natural hair, although we want to move away from that,” Perry said, noting that Taiki no longer uses squirrel hair. “It used to be common” prior to good synthetic alternatives, he said of squirrel hair. Even though most women believe they are using a synthetic makeup brush, chances are good they are usually actually using one made with goat hair. 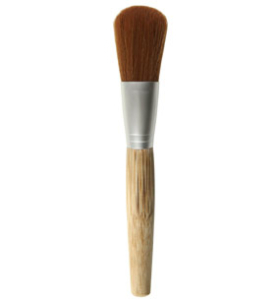 About 95% of powder brushes on the market today are made with animal bristles, mainly goat or pony hair – even though 67% of consumers believe their brushes are made of synthetic materials, according to a survey conducted on behalf of DuPont. The survey, conducted in 2010 by DJS Research in the UK, also revealed that 61% of consumers would never consider a brush made with animal hair. Perry said many women simply don’t recognize the difference between goat hair and synthetic hair. And while brushes made with synthetic fibers are usually labeled cruelty-free, brushes made with goat hair simply fail to mention the material altogether. Because of that, it can often be difficult to determine what a brush is made of prior to purchase. At the moment, Perry said, goat hair is still less expensive for manufacturers to acquire than synthetic fibers. But that is changing fast, leading brush manufacturers to move rapidly toward synthetic fibers. 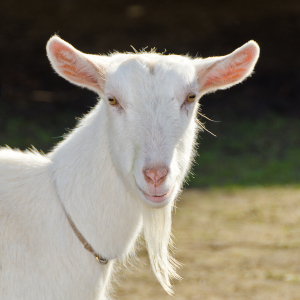 Because goat is the most commonly consumed meat in the world, especially in lesser developed countries, goat hair has historically been widely available as a byproduct of that consumption. But, Perry said, the number of goats raised for the food industry has been declining year-over-year as countries become more westernized. “They are moving up the economic scale, so they don’t want to eat it,” Perry explained. That means goat hair is decreasing in supply, and increasing in price. “Taiki is concerned that, at some point, the value of the price of the pelt on the goat exceeds the value of the goat meat,” Perry said. That could lead to goats being raised simply to be killed for their pelt. “I don’t know too many brands that want to align themselves with that,” Perry said. What’s more, manufacturers are confronted with other issues when dealing with goat hair as well, such as the quality of the hair and an unstable supply. Natural hair must be washed and treated in ways that synthetic fibers are not, adding cost during the manufacturing process. The variation in hair also means that it is not easy to automate the manufacture of brushes with natural hair. 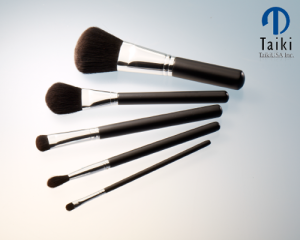 TaikiUSA makeup brushes made with the company’s patented Tafre fiber. There are several synthetic fibers on the market used for makeup brushes, often some variation of polyester. Among them: PBT (Polybutylene terephthalate), PTT (Polytrimethylene terephthalate), Taklon (tipped polyester), DuPont’s Natrafil and, Taiki’s innovation, Tafre. “Ours is the best,” Perry said of Tafre. The underlying material for Tafre is DuPont’s Sorona material, which is 37% renewable and made with corn. It’s also the underlying ingredient in some carpets. To make Tafre fibers, Taiki extrudes the plastic from machines in a unique way. Just as hair is extruded from the scalp or body of an animal in an irregular fashion, Taiki twists the fiber as it is extruded, leading to a fiber that is more similar to real hair. Depending on how the fiber will be used, it may or may not be tipped. Fibers meant to be used with, say, creams will be left blunt. Those mean to be used with powders will likely be tipped. Taiki said Tafre has superior powder pick up and pay off characteristics, as show in this video. In addition to its Tafre fiber, Taiki also has the ability to antimicrobial treat all types of brush hair. “Our patented antimicrobial protection for natural hair brushes is the only available and proven method in the industry,” Perry said. How much room for innovation can be left in the market for makeup brushes, which are, essentially, a global commodity? Quite a bit, said Perry, who advised to stay tuned.